Grab this awesome guitar shirt in vintage style! It makes great gift for electric guitar lovers or rock music lovers! Click on brand name to see more guitar shirts! 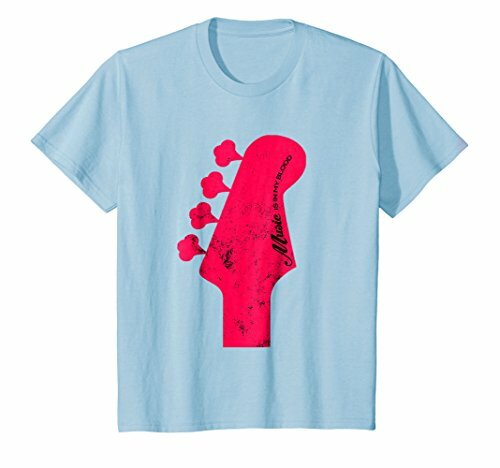 Distressed guitar headstock t shirt for musicians and guitarists. Makes a great Father's Day, Birthday, or Christmas gift. Vintage guitar gifts for men, women, kids, teens and grandparents! If you have any questions about this product by Guitar Music Tees, contact us by completing and submitting the form below. If you are looking for a specif part number, please include it with your message.